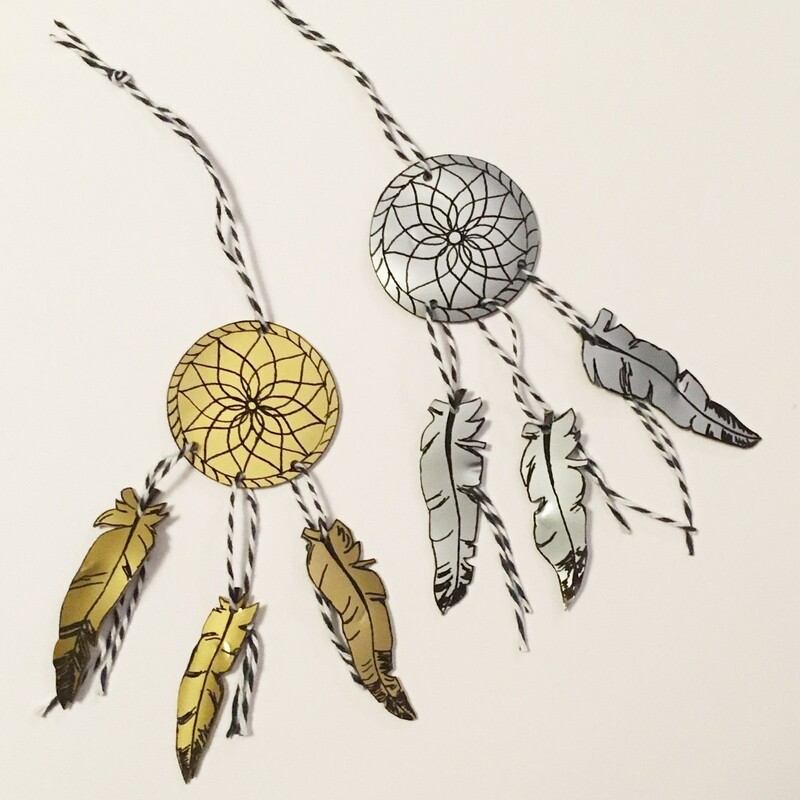 You can make a dreamcatcher in many different ways. Here we show you how to craft a mini-dreamcatcher made from shrink plastic. The gold and silver shrink plastic combined with the baker's twine creates a wonderful result, that will complement any bohemian interior. Get crafting and create your own DIY dreamcatcher to brighten up your interior. 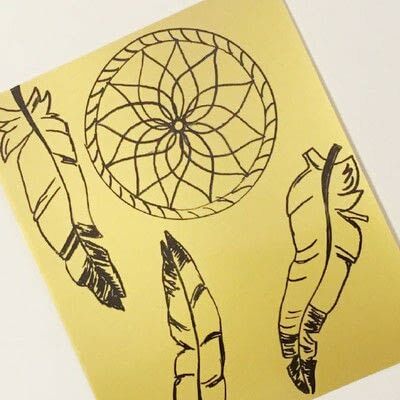 Use a waterproof felt-tip pen to draw a pattern of a dreamcatcher on the shrink plastic. 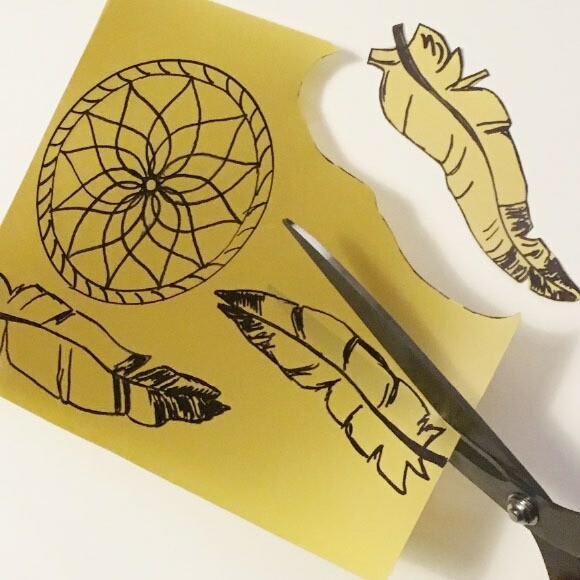 Cut out the shapes with a scissors or a small knife. Use the Vaessen Creative hand punch to punch holes in the shrink plastic. 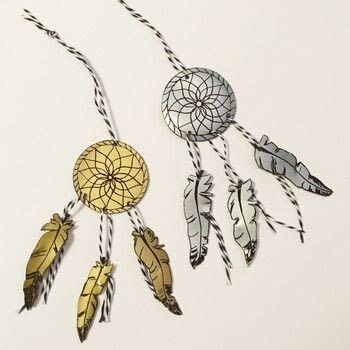 Place the shrink plastic just below the center of the oven on some baking paper and bake for about one minute. 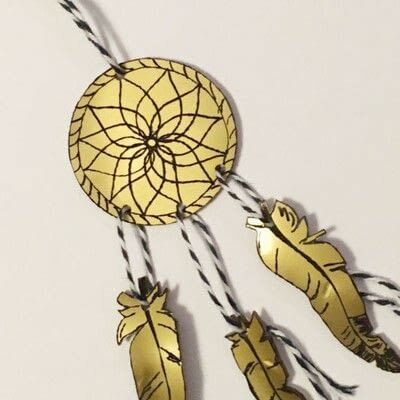 Use Vaessen Creative baker's twine to thread the dreamcatcher together. 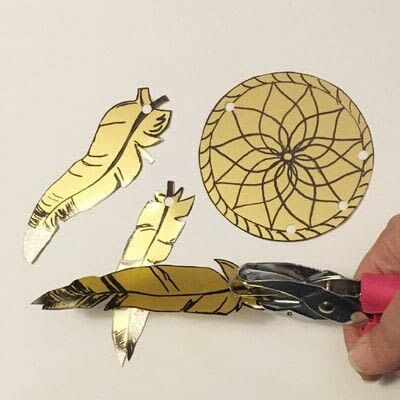 This is gorgeous, what a clever idea for shrink plastic! 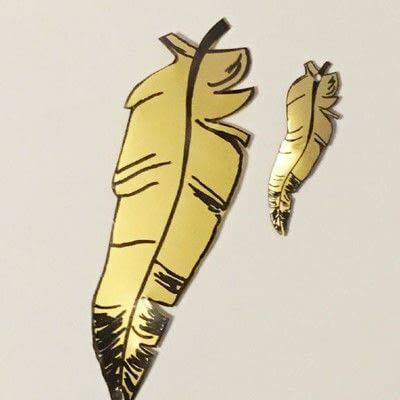 Such a clever idea, I love how they look on shrink plastic!